Are you being prosecuted in Fort Meade for the crime of DUI in violation of Florida Statute 316.193? If so you will need an aggressive Fort Meade dui lawyer to fight your case! Dui lawyers in Fort Meade know that there can be several ways to challenge a dui arrest. One of the most popular ways is to challenge the reason for your stop. Another way a Fort Meade dui attorney will challenge your case is to challenge any breath or blood test results. There are several dui attorneys in Fort Meade who are familiar with the recent problems with the Intoxilyzer 8000 which is Polk County’s breath testing machine. If the court grants any of these challenges it can result in dismissal of your entire case. Of course it is not always possible to have a case dismissed. If dismissal is not possible then the dui lawyer you hire should work hard to get the most favorable outcome for your situation. The minimum sentence you can receive for your very first dui arrest in Brandon is: 12 months probation, 50 public service hours, Dui School, Drug Evaluation, 10 day impoundment of the vehicle you were driving, a six month license suspension and a $500 fine. If you blew over a 0.15 then the fine is increased to $1000 and you are required to install an ignition interlock on your vehicle for at least 6 months. That is the minimum sentence you can receive. If you have had more than one DUI charge, the penalties increase. A second dui arrest can carry a minimum of 10 days in the county jail and a five year license suspension. Your third dui arrest can be charged as a felony in some circumstances and carry a mandatory 30 day stay in the county jail and a ten year license suspension. A felony dui charge can result in a five year prison sentence and revocation of your license for life!! We want to make sure this does not happen to you! Of the dui lawyers Fort Meade has available there are none more dedicated to dui defense than those of the law firm of Finebloom, Haenel & Higgins. When hiring a dui attorney Fort Meade residents have many to choose from. That is why we go above and beyond in our client representation both in the courtroom and out. We have the knowledge, experience and resources available to provide the best custom defense for you! 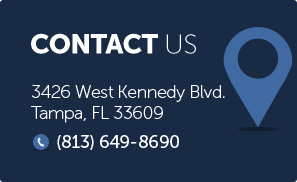 Our dui attorneys are standing by 24/7 for consultation. Call 1-FIGHT-IT now and let us fight your case for you!